Fluoride treatment from the best pediatric dentist for kids is a healthy part of regular checkups. The topical fluoride treatment for kids at a pediatric urgent care in Brooklyn is one of many services you’ll be glad is available in one place. Fluoride treatment child care is as important a step in prevention as you can take. And it may be a kids fluoride treatment in Brooklyn that begins a long, healthy relationship with your pediatric dentist. Healthy teeth require fluoride to help initiate a process called remineralization. 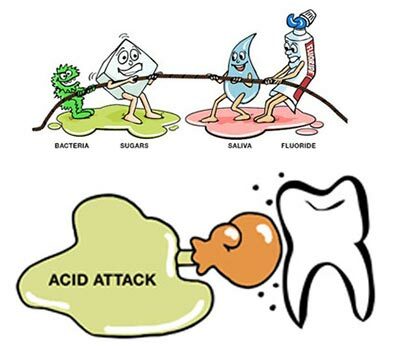 Over time, in the presence of acid from plaque and sugars, tooth enamel gradually loses calcium and other strengthening minerals during demineralization. Consuming fluoride in food and water — or using topical fluoride treatments in the form of toothpastes, rinses or fluoride treatments provided by the best children’s dentist in Brooklyn — helps protect your child’s teeth now and for the future. Phosphates, calcium and fluoride penetrate the enamel of your children’s teeth, strengthening the layer between your child’s budding teeth and the sugars and acid in the food they eat and the drinks they consume. 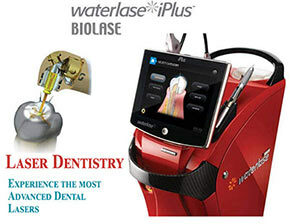 This remineralization has been shown in to help prevent tooth decay. In some instances, fluoride treatments reverse the early signs of decay. Who Benefits from Topical Fluoride Treatment? The gel form of fluoride treatment found in your best pediatric dentist’s office provides one of the safest forms of kids fluoride treatment available. Children are notoriously poor brushers. 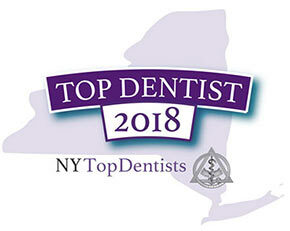 The goal of your toddler dentist in Brooklyn is to provide the greatest level of protection for budding permanent teeth until your child is old enough to learn the most effective brushing techniques. You may be asked to hold your child firmly on your lap as a form of reassurance, with you and the child facing your technician of pediatric dentistry of Brooklyn. The best pediatric dentist quickly examines and cleans your child’s teeth, noting any areas of present or possible future concern. 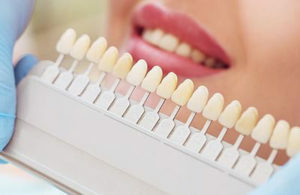 The technician administers the fluoride treatment in the form of a gel painted with a small brush onto the surface of the tops and sides of each tooth. The gel quickly hardens in the presence of saliva, preventing the swallowing or ingestion of the fluoride. It’s still safe even if swallowed. Though too much fluoride has been linked to brown discoloration or white spots on the teeth — a condition known as fluorosis — the levels of fluoride in dental fluoride treatment for children are far lower than what cause this condition. Your child won’t notice any unusual effects from the topical fluoride treatment after the gel hardens. Your best dentist for kids recommends no hot foods and no brushing or flossing for four to six hours after the fluoride treatment. Your child may eat or drink room temperature or cold food and drink, even immediately after the procedure. Just as your child benefits from kids fluoride treatment, you as an adult can also see positive results from fluoride treatments. Prevention of tooth decay makes fluoride treatments a viable option if you’re prone to cavity issues due to genetics, environment or disease. Insurance usually covers fluoride treatment for kids and while they may not cover the same for adults, the cost is far less than expensive decay dental care. Monitoring your dental health and advising you of your children’s best options makes the jobs of pediatric dentistry of Brooklyn rewarding and satisfying. Pediatric dentistry is a specialty that protects your kids’ teeth during an important developmental stage. Building a trusting relationship with a pediatric dentist in Brooklyn goes a long way in ensuring your family a lifetime of good oral health. Do you have any questions about the Fluoride Treatment in Brooklyn? 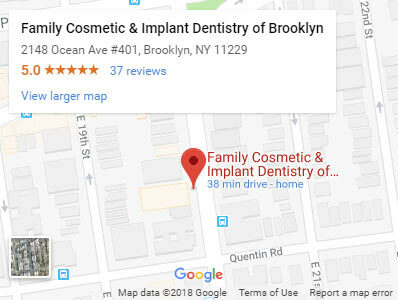 For more information or to schedule an appointment with the top rated pediatric dentist in Brooklyn Igor Khabensky DDS of Family Cosmetic & Implants Dentistry of Brooklyn? Please contact our kids dentistry for consultation with the kids dentist Igor Khabensky DDS.